Talk to anyone who lives in an apartment building, not just in New York City, and they will likely have an entertaining story to tell about a current or former neighbor. You can't jam a bunch of strangers into a building, sharing common spaces (not to mention walls!) and come out completely unscathed. 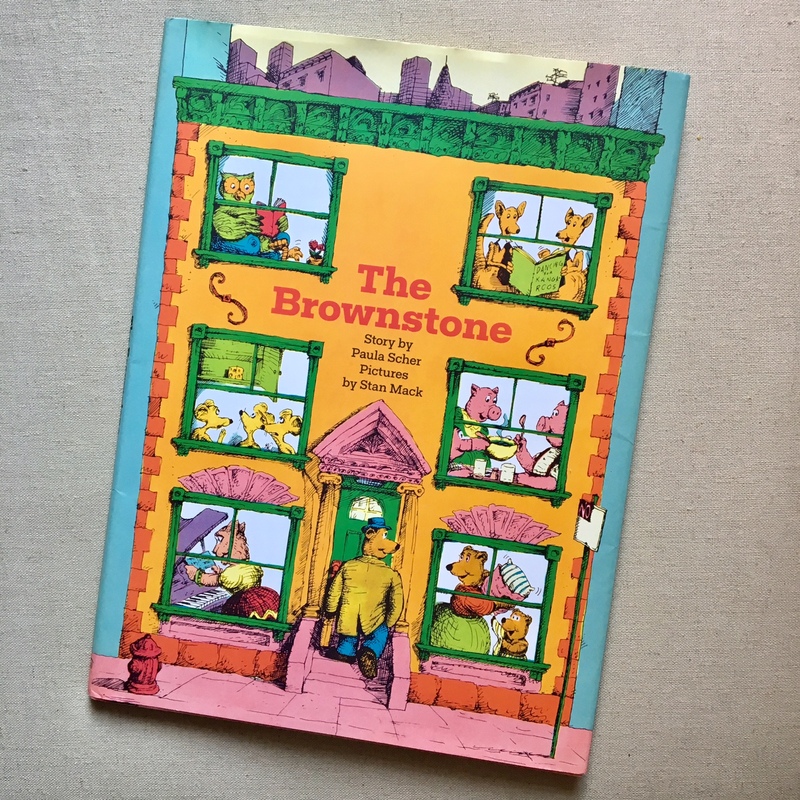 Here's an example, and it's why I can specifically relate to Paula Scher's charming tale, The Brownstone: my current upstairs neighbor is a musical director on Broadway, and he plays his piano every day. ALL DAY LONG. Into the late evening hours. Now, luckily, he is very talented and I typically enjoy listening to him play... but my goodness, sometime the entire Cats songbook is just a bit much. And don't get me started on the voice lessons he teaches! The Brownstone follows the Bear family of New York City as they try desperately to get a good night's sleep in their apartment. At long last, they figure out a way to make everyone in the building happy, but it takes a bit of shuffling first! I love this book and the vibrant illustrations by Stan Mack. Check it out!